I am really into tags right now and I think I will stay that way. Such a fun way to make a post while helping a fellow blogger etc that originally made it! So they will turn up now and then in the future. 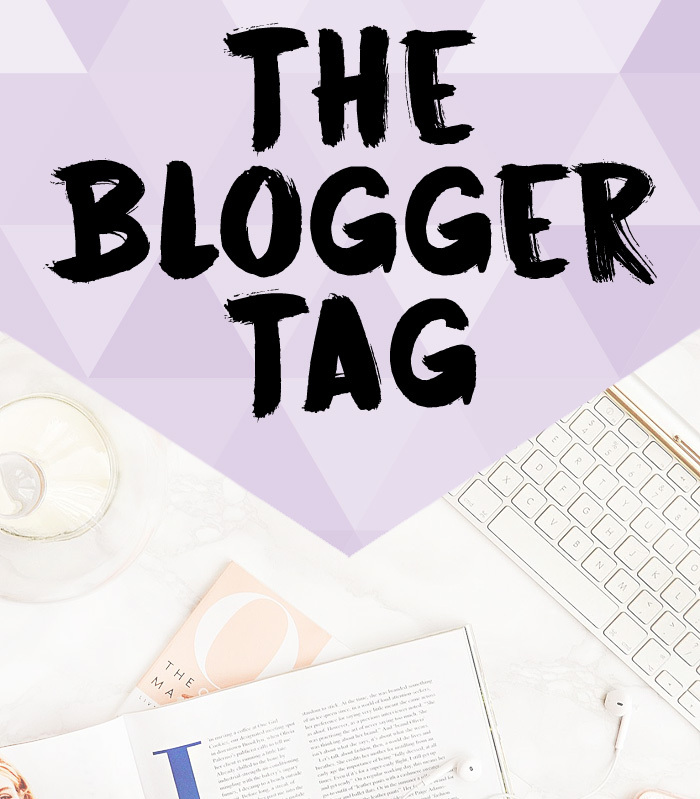 I have not on the other hand found a tag that is for Bloggers. There is one for Beauty Bloggers but not one for bloggers in general. So I thought that I'd just make a short one and share it with you! I would love for you to link me so that I can check out your answers if you decide to join in! How long have you've been blogging and why did you start? Well my oldest blog dates back to June 2008 but I'm pretty sure I've had others before that one...So 10ish years. I started blogging way back because...Well I wanted to share my life, it was slowly becoming a thing back then and it seemed interesting. No. This blog is...I have lost count to be completely honest. Geeky lifestyle blog. Because I feel it's the same kind of posts as a lifestyle blog has only mine are 90% geeky, because that's what I am to my very core. A geeky nerd of a fangirl. If we're talking about this blog and this blog only then yeah, pretty much. But compared to a few years back, not at all. I used to blog more in a diary kind of theme. It's only the past 3-4 years it's become more directed to you, the amazing readers. All the amazing people you get to meet. It's an amazing memory bank. What is your favorite kind of post to write? Out of the ones that I have pressed publish on...When I announced that Oliver had passed away. It's been almost 1 ½ years and it still feels so painfully empty, he was my best friend even if he was a bunny. Tag 3 (or more) lovely bloggers! Tania Michele, Dorkface, ZombieGoddess Beauty and Emily Underworld. And of course anyone else out there who wants to do it!